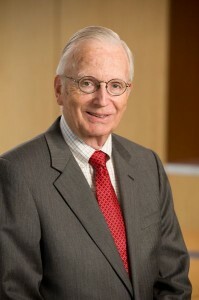 Dennis R. Beresford, Executive-in-Residence at the J.M. 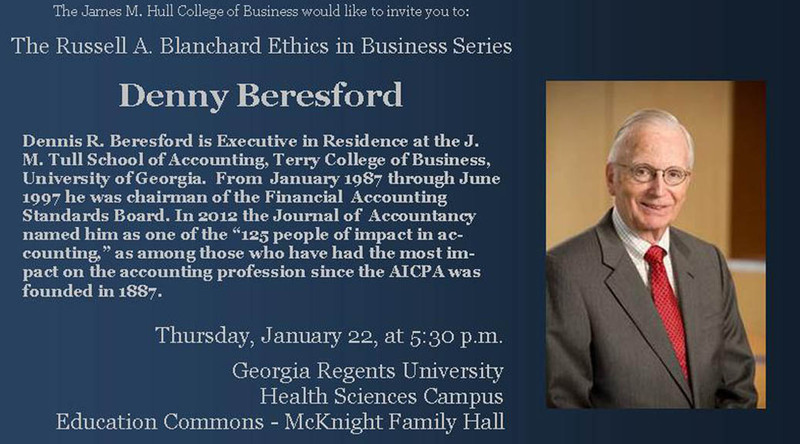 Tull School of Accountancy in the University of Georgia’s Terry College of Business, will be the keynote for Georgia Regents University’s Russell A. Blanchard Ethics in Business Series. This free event will be held Thursday, Jan. 22, at 5:30 p.m. in the McKnight Family Hall in GRU’s J. Harold Harrison, M.D. Education Commons. Beresford currently serves as the Chairman of the Audit Committee of Doosan Infracore International, Inc. He is the former Chairman of the Financial Accounting Standards Board as well as the former National Director of Accounting Standards for Ernst & Young. 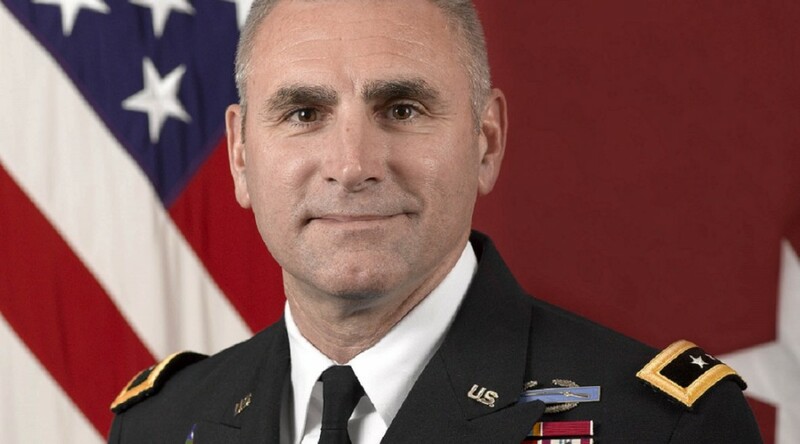 He also served on the boards of several organizations including National Service Industries Inc., WorldCom (MCI) Inc., Kimberly-Clark Corporation, Fannie Mae, and Legg Mason Inc.
His work in the field of accountancy has garnered him several accolades such as being inducted into the Accounting Hall of Fame and receiving the American Institute of CPAs Gold Medal for distinguished service. In 2012, the Journal of Accountancy also recognized Beresford by adding him to their list of 125 People of Impact in Accounting, and in 2013, he received the Institute of Management Accountants’ first Distinguished Member Award. For more information regarding this event, call GRU’s Hull College of Business at 706-737-1418.